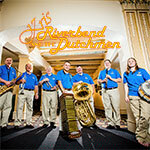 The Riverbend Dutchmen band from Mankato, Minnesota was formed in 2009 by bandleader Kris Keltgen. The band blends an up-tempo beat with the traditional dutchmen style made famous by so many of the great dutchmen bands from Minnesota and Wisconsin. FREE CONCERT on Friday, October 26th (7:30 PM) at the Sauk Centre High School Auditorium. The Centre Area Concert Association received a COMMUNITY ARTS SUPPORT Legacy Funds Grant from Central Mn Arts Board. A portion of this grant will provide this FREE CONCERT on Friday, October 26th (7:30 PM) at the Sauk Centre High School Auditorium. The Long Prairie Chamber Orchestra will also perform on Saturday, October 27 in the LP/GE High School auditorium. 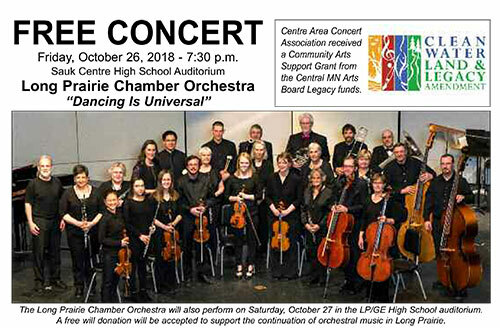 A free will donation will be accepted to support the continuation of orchestral music in Long Prairie. Ventriloquism, music, magic, and lots of laughs...family friendly fun! 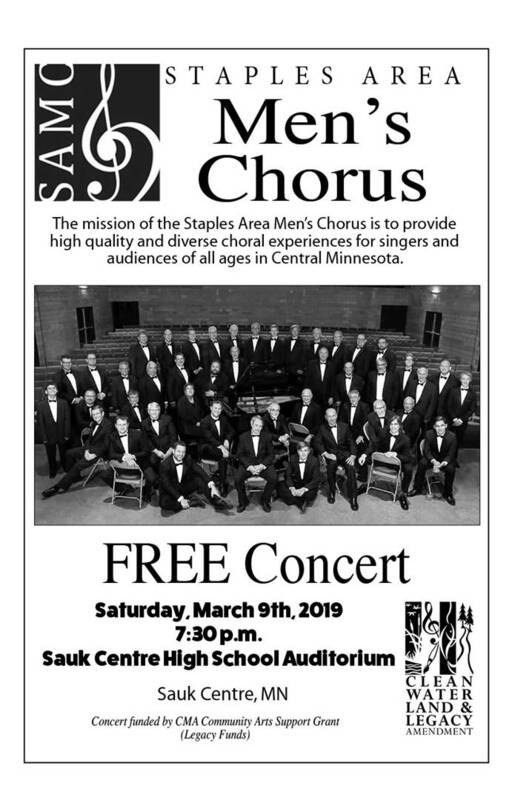 THE STAPLES MEN'S CHORUS FREE CONCERT HAS BEEN RESCHEDULED TO WEDNESDAY, MARCH 27TH AT 7:30 PM IN THE SAUK CENTRE HIGH SCHOOL AUDITORIUM.